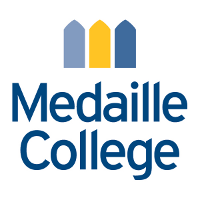 Medaille College, Department of Communication and Sport Studies, seeks an adjunct instructor for a journalism course in the Communication Program. Evidence of successful college-level teaching and/or significant experience in the field of Journalism and minimum of a Master’s degree in the appropriate discipline are required for consideration. Course focus is Print Journalism in the Digital Age, and runs Tuesday/Thursday mornings in the Spring 2019 semester. Questions about this position should be directed to Lisa Marsherall, Department Chair and Program Director of Communications and Sports Studies, at Lisa.M.Marsherall@medaille.edu.